If Duck done it, it's worth a listen! 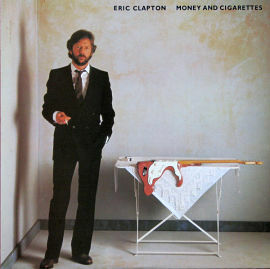 Sandwiched between Slowhand’s ‘70s glory years and his late ‘80s celebrity blooze resurgence was this neglected and decidedly comfortable gem with Donald “Duck” Dunn commandeering the bass chair - along with six-string virtuosos Ry Cooder, Albert Lee, and Muscle Shoals drummer Roger Hawkins. In a vacuous era (error) of spandex, big hair, dumb videos, and dubious leaders – some of us appreciated substance over sizzle – which is exactly what you get here despite the average songs. Dig Duck’s Fat Fender P upper register 10th licks on “The Shape You’re In” http://bit.ly/2nvHLT1 with Clapton and Lee trading solos on yet another song about Pattie Boyd!